Today I thought it would be fun to create a list of my favorite local restaurants in the Raleigh area. My husband & I have been living here for over three years now, so we’ve definitely had time to establish some favorite dining locations, & it just so happens that all of our favorite places to eat around here are locally owned & operated. I’m not one of those people who refuses to eat at a chain restaurant, but I will admit that the vast majority of the time local places are both tastier & more interesting & often do have better service. Additionally it just feels good to know that you’re contributing to the local economy rather than to some massive national corporation. As a disclaimer, I’ve obviously not had time to try EVERY restaurant in the Raleigh area. I’m pretty sure I could live here for the rest of my life & never accomplish that feat! 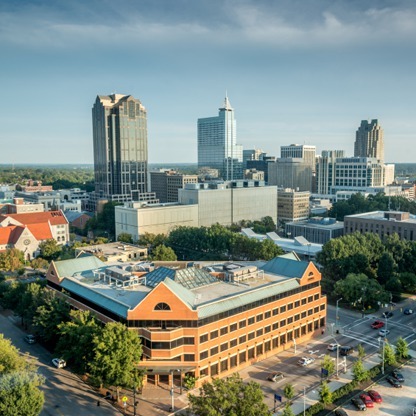 And because of where we live in Raleigh this list is definitely biased towards North Raleigh. 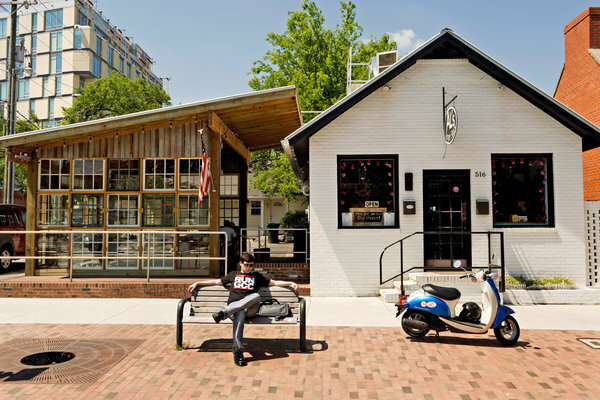 This isn’t meant to be a comprehensive list of the best dining experiences in the Triangle. These are just my PERSONAL favorites, which all happen to be locally owned & operated. Additionally, you will not find a single place on this list that is black tie or at all fancy because that is just not my style. If I can’t go out to eat in jeans & a basic shirt, I’m not interested. If that makes me lazy or redneck or whatever, I couldn’t possibly care less. Additionally, aside from # 1, these are in no particular order. **Click on the name for each restaurant to visit their website. This locally owned, family-run Indian restaurant off of Highway 54 in Durham is literally my favorite restaurant in the world. I just cannot say enough about how wonderful this place is. The food is phenomenal, the service is excellent, the decor is charming, the prices are very reasonable, & the setting is neat & clean. My husband & I have taken several of our friends here, & they have all loved it. One couple has even become regular diners there, just like us. (In fact we frequently go there together.) We even took my parents here last summer, & though they had never before eaten Indian food, they too really enjoyed it & have spoken about going back next time they’re in town. 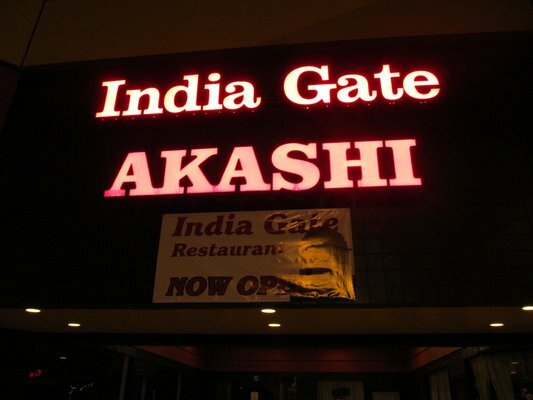 I’ve tried several other Indian restaurants in this area (there are quite a lot to choose from), but none of them have equaled the excellence of India Gate in food, service, or value. If you’ve never had Indian food, check out the lunch buffet (offered every day except Saturday) where the food is intentionally made a lot less spicy so that it’s more amenable to everyone. My favorite dishes here are the butter chicken, the vegetable or chicken korma, the naan bread, the kheer (rice pudding), & the gulab jamun. If you enjoy the buffet, be sure to pick up one of their cards where you get a stamp for every time you eat there, & then you’re tenth visit is free. If you only take one suggestion on this list, make it this one. There are several casual “fast-food ish” Greek/Mediterranean restaurants in the Raleigh area, but this one is definitely my favorite. There are quite a few locations throughout Raleigh & Cary, but I usually go to the one on Creedmoor Rd or the one at Brier Creek. However, I’ve had good service & great food at every location I’ve ever visited. I suggest going at lunch & getting the original gyro, which is one of the lunch specials, with fries. One probably wouldn’t expect a Greek place to have amazing French fries, but believe me they are easily some of the best fries I’ve ever had. 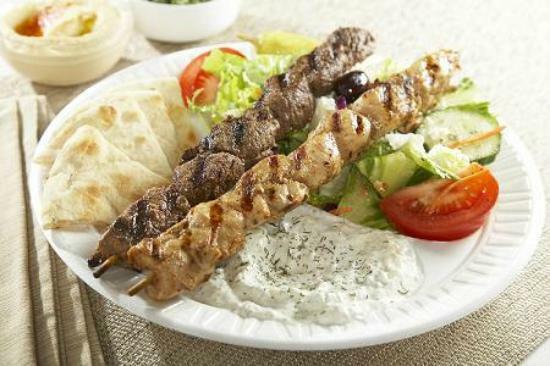 The lamb/steak mixture used in the original gyro is also very delicious. If you don’t like lamb, try the chicken pita which is also one of the lunch specials & is very good. The kabobs are also excellent as are the hummus & baklava. 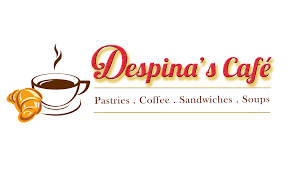 Again, my favorite location is the one on Creedmoor Rd because the staff there are especially friendly, but you can’t go wrong with any of the locations I’ve visited. Ok, this one isn’t exactly local because there are definitely locations in a few other states, & I’m not sure where the restaurant originated. 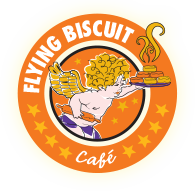 However, Flying Biscuit has become such a local favorite that I feel like it has to be included on this list. If you’re like me & don’t like crowds, definitely try to go at an “off” time & not on the weekend because this place is usually quite crowded & often has a bit of a line to get in the door. If you do find yourself waiting, it will definitely be worth the wait. The biscuits alone are mouth-watering. Breakfast is served all day here, but there are lots of other options as well. My personal favorite is “Not Your Mama’s Pimiento Cheese Sandwich.” Served hot with turkey bacon, this thing is to-die-for delicious & big enough that you’ll probably have left-overs to enjoy later. This is also one of the only places in Raleigh where you can drink alcohol at 7:00 in the morning . . .
Sassool is a family-run Lebanese/Mediterranean cafe & bakery located on Strickland Rd (near the intersection with Six Forks) that was previously called Neomonde. However, the name was changed last year in honor of the woman whose recipes inspired the restaurant’s menu. I don’t think you can go wrong with anything on the menu here, but one of my favorites is the mushroom onion pie which is basically a personal pizza made on pita bread. The daily lunch specials (which you can find online) are always delicious, as are the baklava & the free pita bread that comes with every meal. The website states there will be a new location in Cary soon (not sure exactly where), so be looking out for that. If you want the area’s best BBQ, this is absolutely the place to go. However, it is definitely a “no frills” type of joint, which of course suits me just fine. In addition to mouth-watering pork BBQ, the side dishes are delicious as well; I recommend the sweet potatoes or the mac & cheese. Prices are extremely affordable as well, so basically you can’t go wrong here. Here’s another no frills type of joint that also serves delicious food. Check out the mouth-watering burgers & fries for a tasty lunch or early dinner. (They’re only open 11 am to 6 pm.) I’ve only been to the location at North Hills, but there is also one at the Natural History Museum downtown. Continuing with the theme of no frills places, Lilly’s Pizza is definitely not for you if you’re overly concerned with perfect decor or employees who don’t have obvious piercings & tattoos. However, if you’re willing to overlook those “faults,” this place serves some seriously delicious pizza which you really ought not miss. One of my favorites is the Sir Walter. I also highly recommend the pita appetizer served with hummus, mango salsa, & artichoke dip. There is also outdoor seating where you can eat with your puppy. I was introduced to Ruckus by a friend who frequents the Avent Ferry Rd location near NC State in Raleigh. That location is definitely more of a bar that happens to serve excellent pizza whereas the Cary & Morrisville locations are more restaurants which also have bars. I enjoy all of them, although the pizza at the Avent Ferry Rd location is my favorite. However, the Morrisville location carries what might be my favorite beer ever, the Saranac Prism. The Raleigh & Cary locations have outdoor seating areas which welcome dogs. I don’t think you’ll be disappointed no matter which location you choose. This Mediterranean style cafe was opened just a few years ago in the Towne North shopping center on Creedmoor Rd in Raleigh. 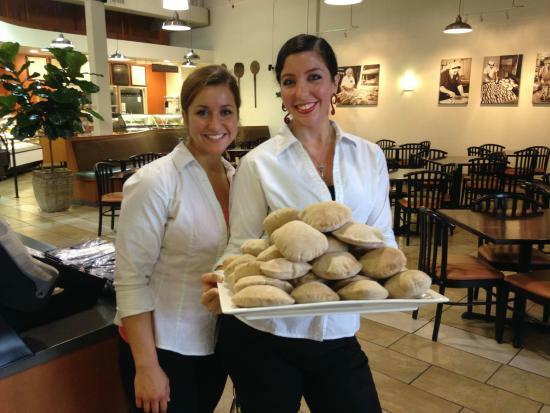 The owner grew up on the island of Cyprus & uses many of the recipes she gleaned from her mother’s restaurant there. To satisfy your sweet tooth, I recommend the unique & delicious lemon lavender scone, the apple turnover, or the lemon bars. If you’re in the mood for an actual meal, check out the marinated chicken wrap. There is free WiFi here which makes it a good place to study or hold a small business meeting. I just discovered this place about two weeks ago when I was in Chapel Hill with a friend. We were both in the mood for burgers so we decided to give Al’s a try based on the good Google reviews. I got the Kenny J burger & my friend got the Melly Mel chicken sandwich, & we were both very pleased. We also shared some sweet potato fries that were easily the best I’ve ever had. This is definitely not a fancy place & there isn’t a lot of seating, but if you’re in the mood for a good burger, this is definitely a great place to go. My husband & I first tried this place almost three years ago when we were in the first stages of looking for a house & we were out driving around eyeballing places we’d seen for sale online. 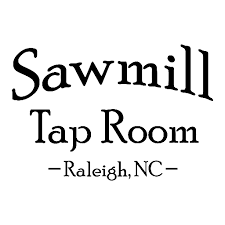 It just so happened that we stopped in the shopping center next to the Sawmill Tap Room so that I could use the bathroom. As I walked back to the car, I couldn’t help but notice the delicious smells coming from the tap room. We’d been planning to eat somewhere else, but we decided to give this place a try instead, & we were very glad we did. In fact the burgers were so good that we came back again about two days later! My favorites are the Kansas City burger & the Jackson Hole burger. The onion rings here are also something you don’t want to miss. Additionally, the restaurant is decorated with pictures of old movie stars, & being a fan of old movies, I find that very charming. I tried this place at the corner of Millbrook & Falls of Neuse Rds some time last year at the recommendation of a friend since she knows how much I love lamb gyros. I’ve been hooked ever since, not only because the food is so delicious & well-priced, but also because of the super friendly couple who runs the place. In addition to the lamb gyro, I also highly recommend the BBQ chicken sandwich. For sides, the fries & pita are always good options, as is some kind of pasta salad they make which is the best pasta salad I’ve ever had. I don’t even usually like cold pasta salads, but theirs is very unique & super delicious. This local restaurant was established by two great-grandsons of a Romanian man who moved to the US in 1902, & it’s definitely worth a try. In case you haven’t noticed, I really like good burgers. It’s amazing that I actually have a good BMI, but of course I don’t eat them every day or even every week. Anyway, I tried this place last year at the recommendation of some friends, & they too have excellent burgers & sweet potato fries. I’m not into hotdogs & bratwurst, but if you are, this is definitely the place to go as that is actually their specialty. There are actually several locations for this delicious Mexican joint, but the only one I’ve tried is the one on Atlantic Ave in Raleigh. Like many of my other favorites, this isn’t a fancy place, but the food is delicious & the service is excellent. The portions are also enormous so I guarantee you will leave with extras to take home with you. The salsa here is heavy on cilantro which I’ve come to really enjoy. The menu is pretty standard as far as Mexican restaurants go, but everything we’ve ever tried has been delicious. My favorite is the pollo a la crema. To my friends in the Triangle area, I hope you’ll give some of these great local restaurants a try. Feel free to comment with your own favorite places to eat in this area. If you’re not from this area but you plan to visit someday, definitely bookmark this post so you can remember to try a few of these places.